Today (07/12) Universitas Muhammadiyah Yogyakarta (UMY) has received guests from Universitas Galuh Ciamis, West Jawa at Amphitheater Room, 4th Floor, Post Graduate Building, UMY. 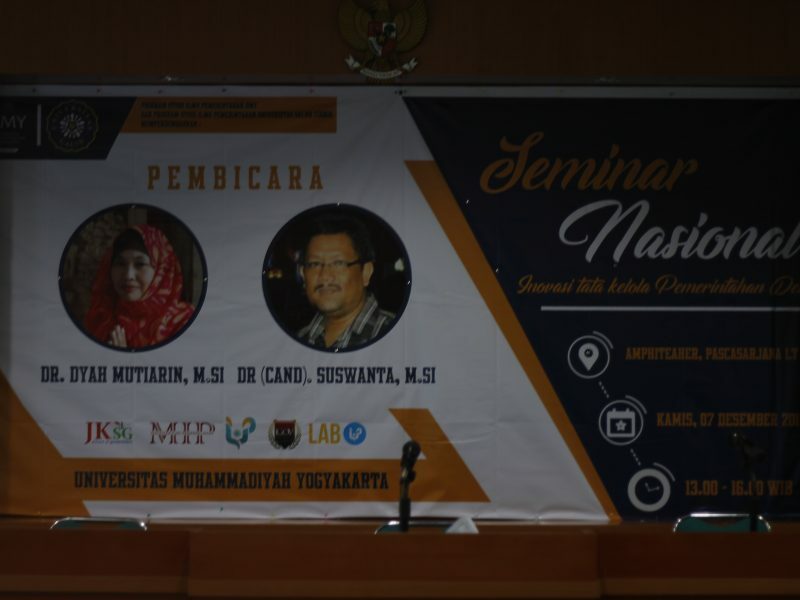 This event was attended by Dr Titin Purwaningsih, S.IP., M.Si, Dean of the Faculty of Social and Political Science (FISIPOL) UMY, Aan Anwar Sihabuddin, SH, S.IP, M.Si Dean of Faculty of Social and Political Science, Universitas Galuh Ciamis, West Java ( UNIGAL), dr. Farindira Vesti Rahmasari, MSc, Head of Domestic Affairs, Institute of Cooperation and International Affairs, UMY, and a group of Universitas Galuh Ciamis. The event began with the recitation of ayah from Holy Quran , continued sang national anthem of Indonesia; Indonesia Raya and Muhammadiyah Official Song; Sang Suria . 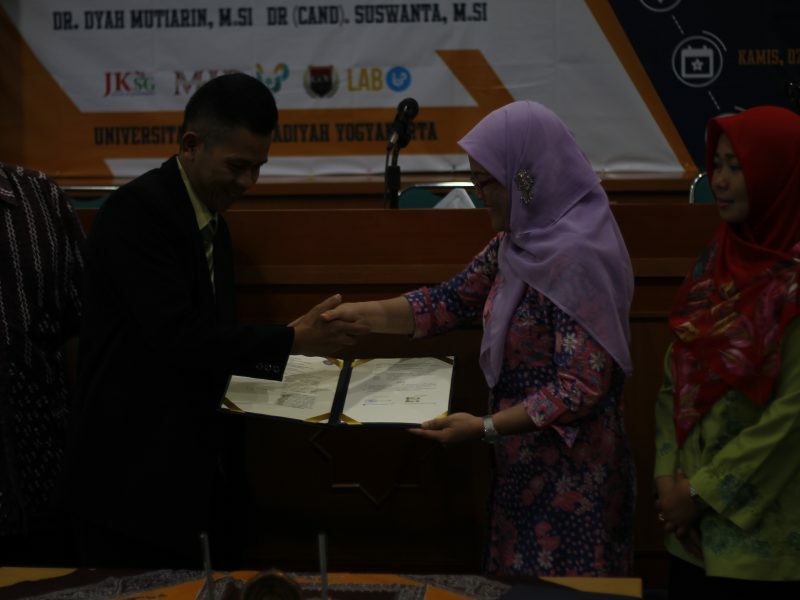 Next, the occasion was continued with Memorandum of Understanding (MoU) signing ceremony between Universitas Muhammadiyah Yogyakarta and Universitas Galuh Ciamis, West Java. The purpose of this Memorandum of Understanding is to build a joint commitment to establish cooperation in developing regional resources and campus resources through Tri Dharma Higher Education activities, namely Education, and Research and Community Service. The purposes of this MoU are to implement and improve the implementation of Tri Dharma Higher Education; provide opportunities for academic community colleges parties implement science and technology; and institutional development, development and improvement of people’s welfare. Finally, the event was continued with a national seminar on Village Governance Innovation by Dr Diyah Mutiarin, M.Si and Dr Chand Suswanta, M.Si . Various info and inputs delivered by both distinguished speakers are to provide enlightenment accompanied by further guidance to all the audience.